Can a Lawyer Lose His License if He Declares Bankruptcy? Every attorney must hold a professional law license issued by a state as a condition to practicing law in that state. Revocation of an attorney's license is known as “disbarment.” The rules that govern licensing and disbarment of attorneys vary from state to state. However, most states have adopted the Model Rules of Professional Conduct that the American Bar Association has established, as well as provisions that are in accord with the ABA’s guide to bar admissions. All states hold attorneys to high levels of character and fitness. A majority of states publish character and fitness standards, which consider factors such as unlawful conduct, acts involving dishonesty, neglect of financial and professional responsibilities, violations of court orders, mental or emotional instability, and drug or alcohol abuse. 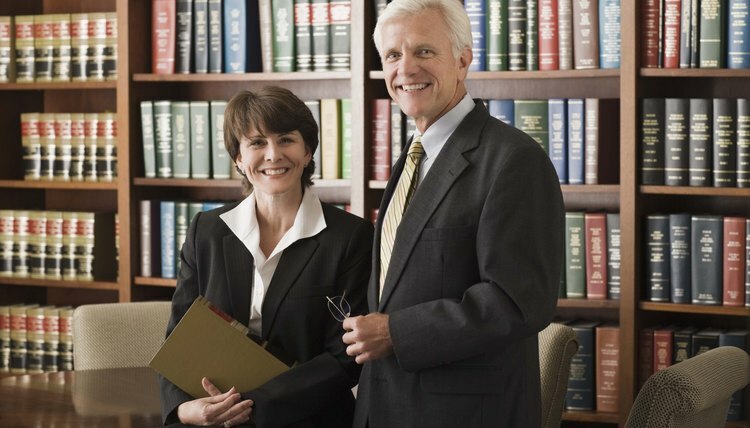 For further clarification of the character and fitness required for the practice of law, the ABA Code of Recommended Standards for Bar Examiners provides: “A lawyer should be one whose record of conduct justifies the trust of clients, adversaries, courts, and others with respect to the professional duties owed to them. A record manifesting a significant deficiency in honesty, trustworthiness, diligence, or reliability of an applicant may constitute a basis for denial of admission.” In addition, in listing the factors that are deemed relevant to the question of whether an applicant is fit to practice law, “neglect of financial responsibilities” is specified. Again, if the circumstances of an attorney’s filing for bankruptcy include evidence that the attorney is untrustworthy or unreliable, disbarment may result. The U.S. Bankruptcy Code expressly prohibits the denial, revocation or suspension of a professional license solely because the licensee has filed for relief under the Bankruptcy Act, so that the act of filing for bankruptcy is not sufficient to warrant disbarment of an attorney. Attorneys are not immune to the same factors that cause bankruptcies among other classes of licensed professionals. The majority of attorneys who file bankruptcy retain their licenses. There is less uniformity among the various states as to whether attorneys must report their filing for bankruptcy. Some states require an attorney to report the act of filing for bankruptcy to the state bar association of disciplinary authority, while others do not. Although the rules vary from state to state, every state has provisions for further review or appeal of an order of disbarment, as well as for conditions of reinstatement. Therefore, the initial order of disbarment is not the final word on the subject and, if an order of disbarment is upheld on appeal, the license to practice law may be subsequently reinstated after statutory waiting periods and conditions have been met. Steve Rhode: Attorney Loses Law License Because of Debts. Forced into CCCS by Court. Plan Fails Miserably. Divorce can be terrifying, and it doesn't help that you're putting your case in the hands of a professional you've just hired, an attorney you likely don't know past your initial consultation. It may help to know that divorce attorneys have responsibilities to their clients, which are explained in the state's code of professional responsibility. And, an attorney's continued right to practice law depends on fulfilling these responsibilities to the letter.